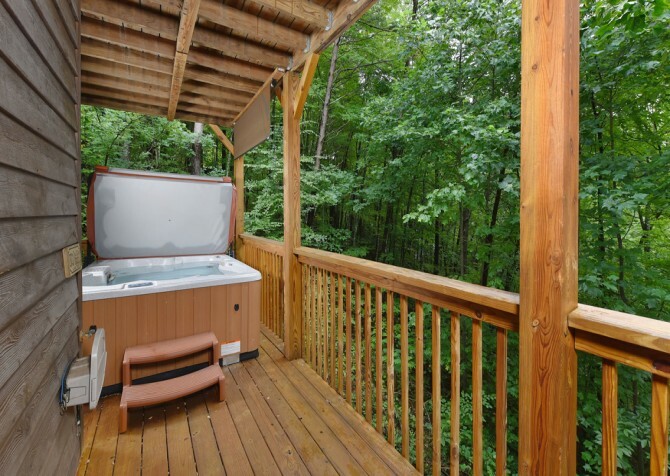 Prepare for romantic weekends, a memorable honeymoon, or fun getaways for a family of 4 at The Tree House, a charming Smoky Mountain cabin tucked among the trees in Gatlinburg, TN. 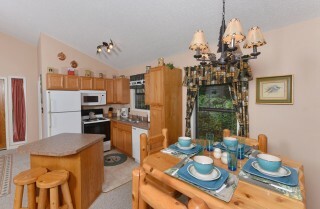 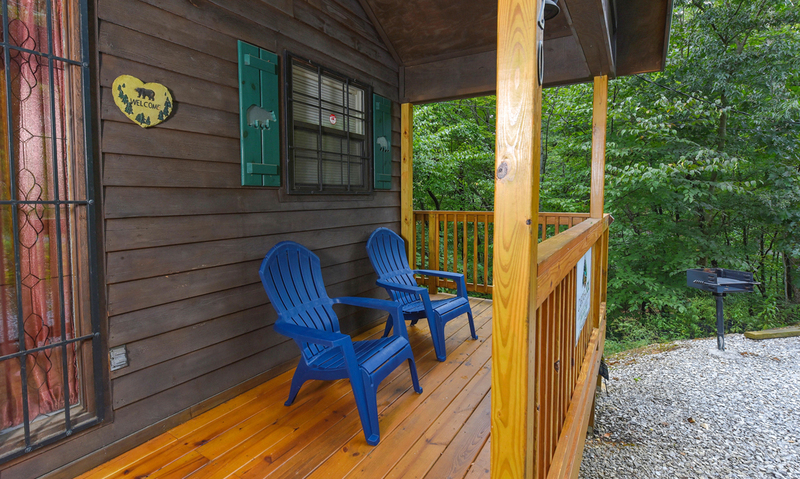 Days at this 1-bedroom, 1 ½-bathroom cabin are spent relaxing and enjoying the peace of the Smokies — after exploring all the shops, restaurants, shows, and attractions of downtown Gatlinburg and Pigeon Forge! With 1,200 square feet of space and lots of homey conveniences, you’ll have the room and tools you need for a great getaway. 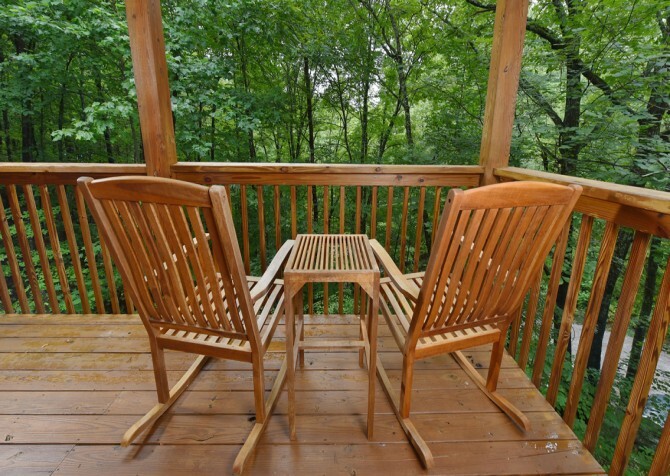 Wooded views await at The Tree House, while you’re soaking your stresses away in the outdoor hot tub, enjoying a cup of coffee or a glass of wine from the rocking chairs, or firing up the picnic-style charcoal grill for cookouts on those cool mountain evenings. This cabin is even pet friendly, so you can play around with your pup in the fresh air. Inside, cozy up by the wood-burning fireplaces on cold mountain nights before climbing into the indoor jetted tub for a luxurious bath. 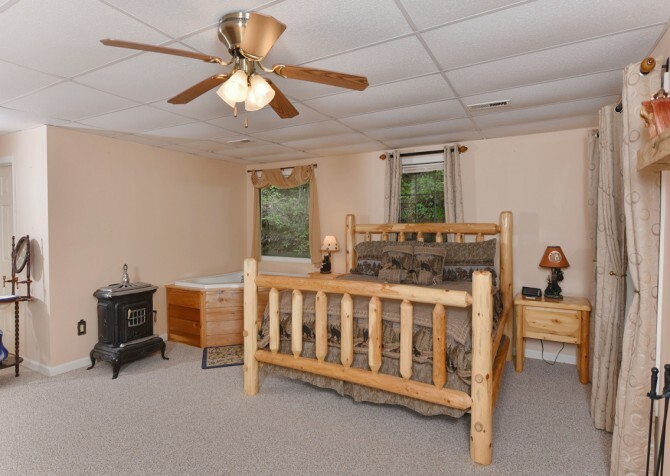 The bedroom with a king-size bed and TV will be a welcome retreat after busy days hiking in the Great Smoky Mountains National Park or playing downtown, and the queen sleeper sofa in the living room will add some sleeping space. 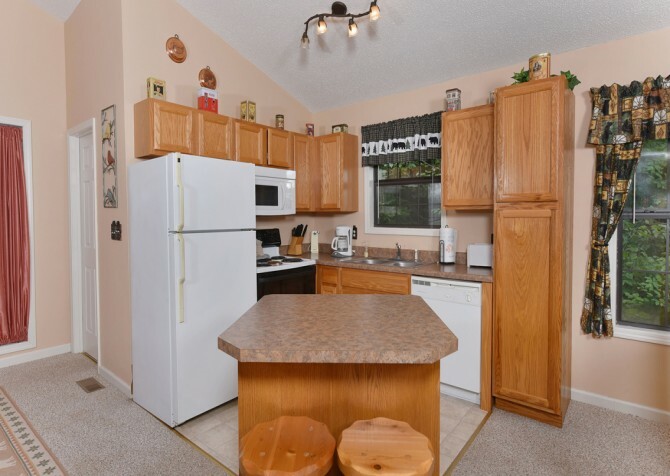 Along with a fully equipped kitchen for whipping up snacks and meals anytime, The Tree House is packed with lots of amenities to make you more comfortable. 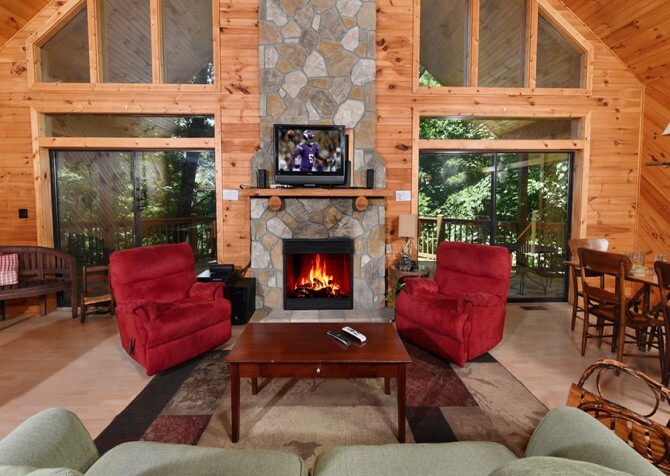 Take advantage of high-speed wireless internet, a washer and dryer, and DVD and CD players during your Smoky Mountain stay! As soon as you step inside The Tree House, you’ll feel right at home with a naturally calming atmosphere created by the surrounding trees. 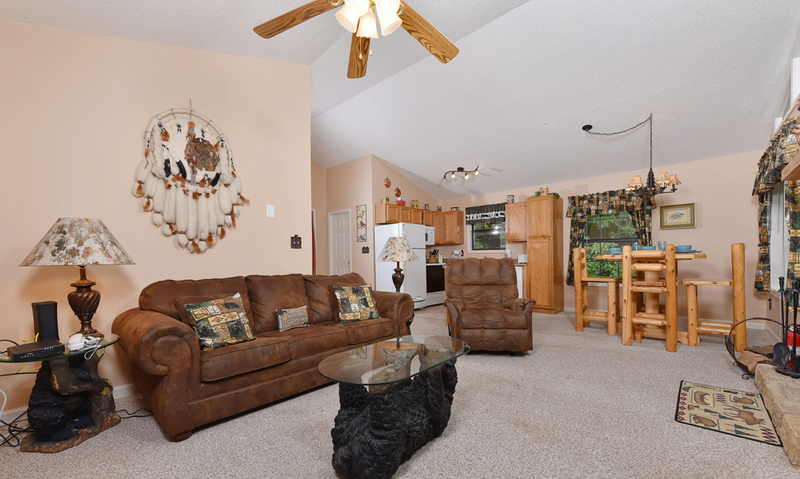 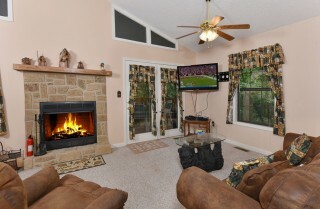 The open-concept living area is cozy and quaint, featuring a plump sofa (doubles as a queen sleeper) and matching recliner, a wood-burning fireplace, glass tables with adorable black bears underneath, and a soft carpet to keep your feet warm on cool nights. 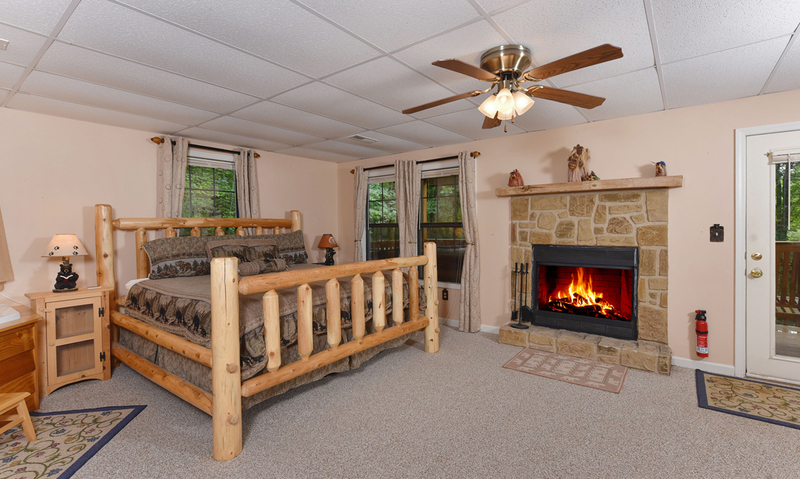 Sit back and relax with a romance novel by the reading lamp and keep warm by a toasty fire in cooler months. 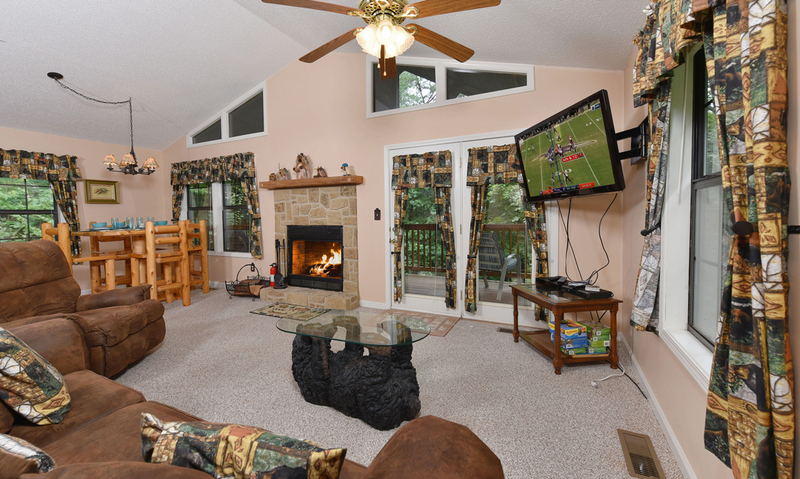 There are also provided puzzles, great for rainy days or relaxed afternoons, and a big screen TV with DVD player, perfect for movie nights at the cabin. 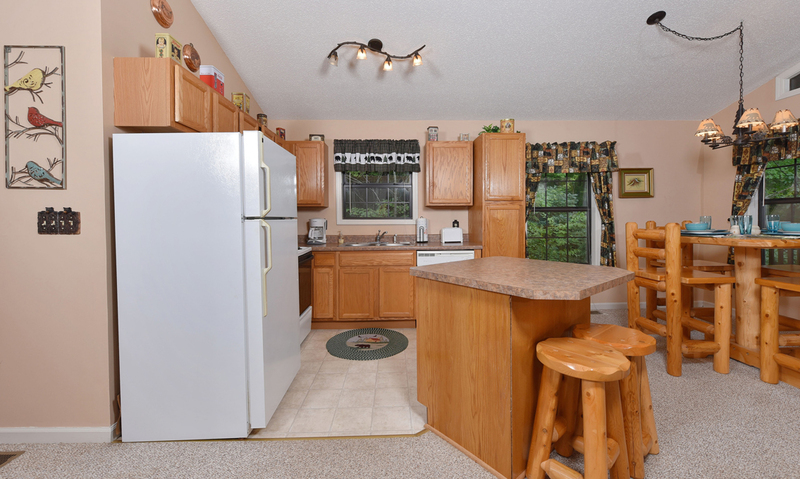 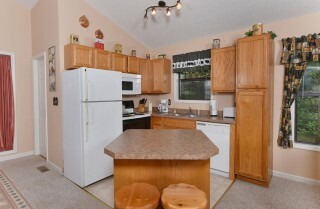 Just off the living room lies the kitchen, fully equipped with standard appliances (including a handy dishwasher), an island for extra prep space with bar seating for 2, and plenty of cooking utensils, pots and pans, and dishware. This space is ready for almost any meal you can think of, even your most secret of secret recipes… Plus, it makes storing sweet treats, midnight snacks, and local wine easy as pie, which you could bake yourself at the cabin. Alright, the meal is ready, so it’s time to set the dining table for 4 mere steps away from the kitchen, which makes it easy to serve seconds and grab dessert in a flash. The beautiful table boasts stool seating with a bear-adorned chandelier overhead plus woodsy views through the surrounding windows. 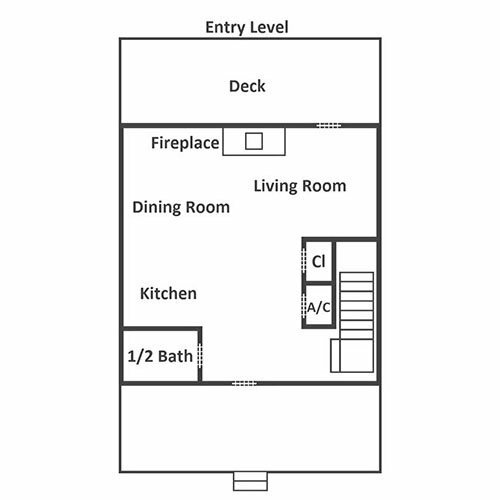 But this space isn’t just for dining — play board or card games from home, set out a few coloring books and crayons for the kiddos, or plan in-town activities for tomorrow’s adventure. 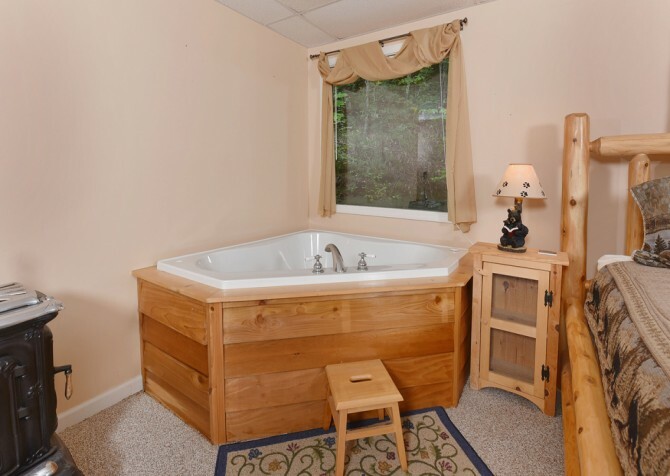 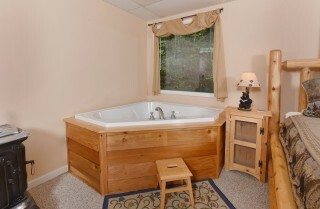 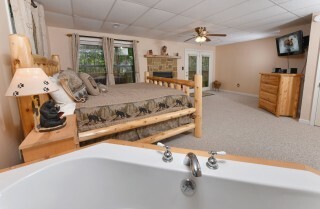 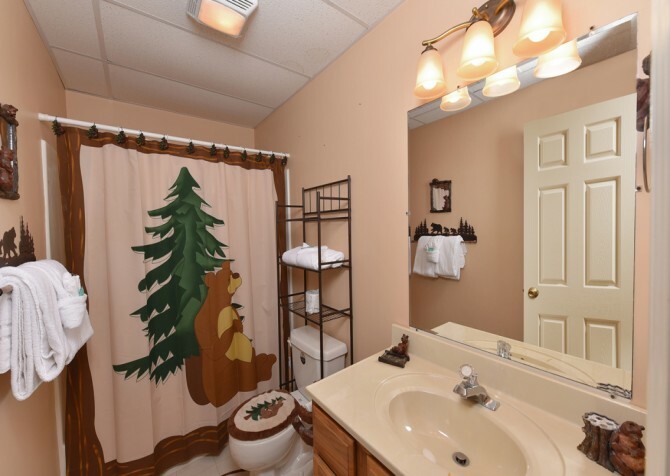 Total relaxation is waiting for you in the master suite downstairs, complete with a wood-burning fireplace, a log king-size bed, an indoor jetted tub, a mounted flatscreen TV, a CD player, and a private en-suite bathroom (with a shower and tub combo). This charming bedroom is spacious and boasts traditional touches, like a Victorian pitcher and bowl and decorative furnace. 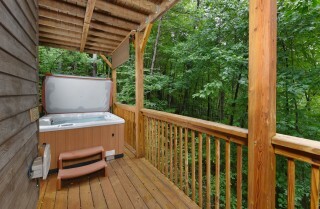 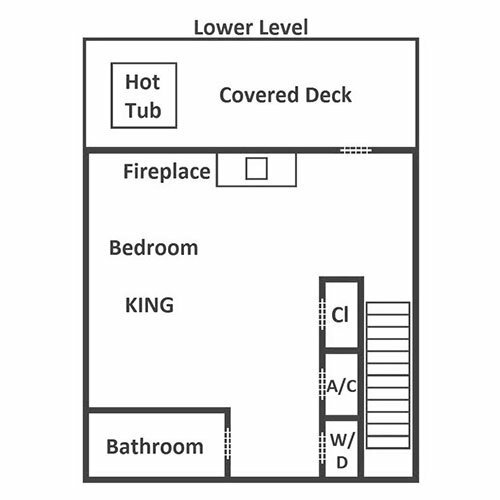 You’ll also have direct access to the lower-level deck, meaning midnight hot tub soaks are only a few steps away! As you pull into the flat, gravel driveway with room for 2 vehicles, the wooded views all around The Tree House will instantly captivate you, and with only 2 steps into this semi-private home, your vacation will start as soon as you step out of the car. 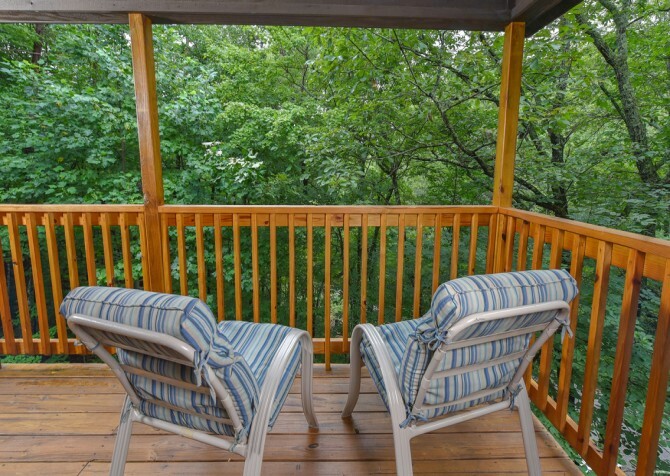 Enjoy morning coffee with your spouse in the rocking chairs on the lower-level deck as well as steamy hot tub soaks any time. 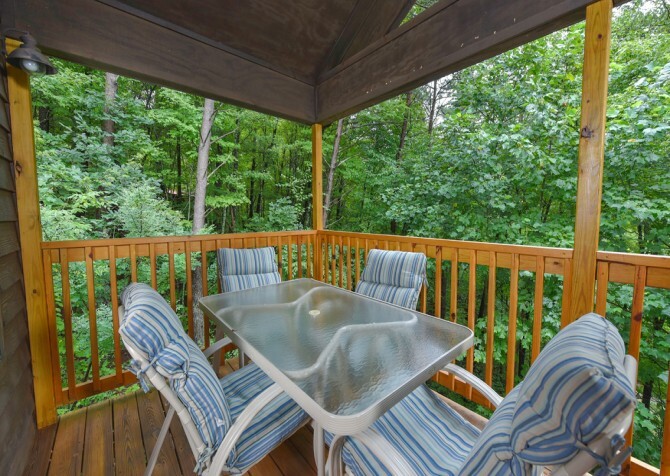 And prepare barbecue dinners with the picnic-style charcoal grill out front, then dine in nature at the outdoor dining table with 6 cushioned chairs on the entry-level deck. 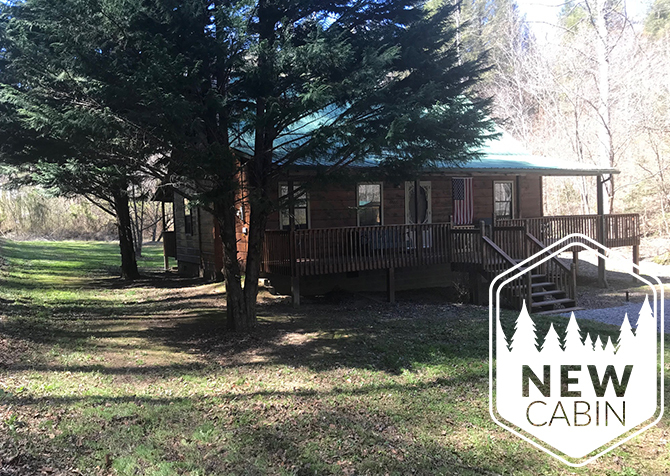 The Tree House has a few more treats in store, including a washer and dryer so you can pack light and high-speed wireless internet so you can keep up with the Cabins for YOU blog. 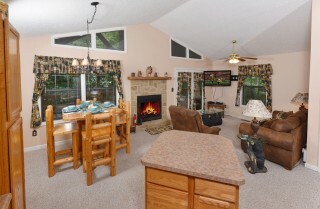 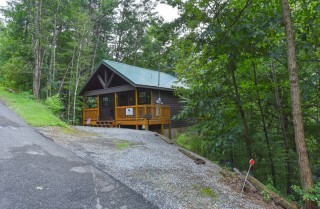 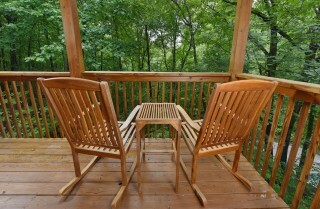 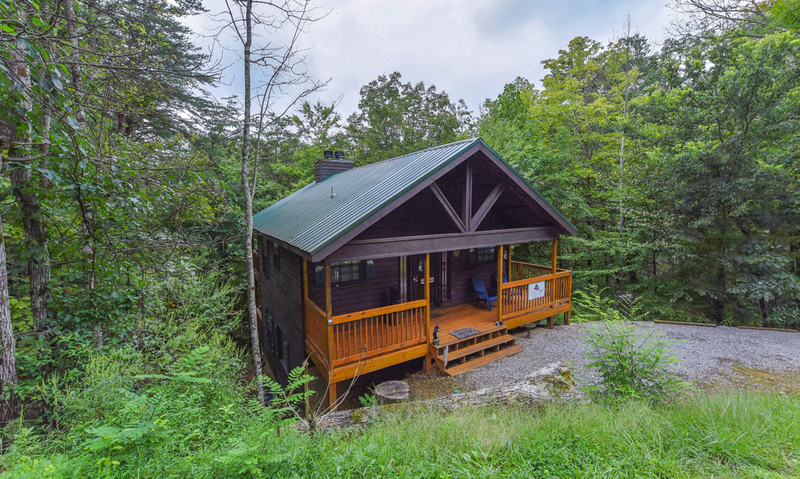 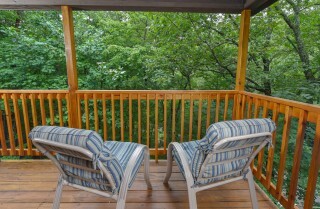 Best of all, this charming cabin is pet friendly, meaning you can bring the whole family to the Smokies — including Fido! 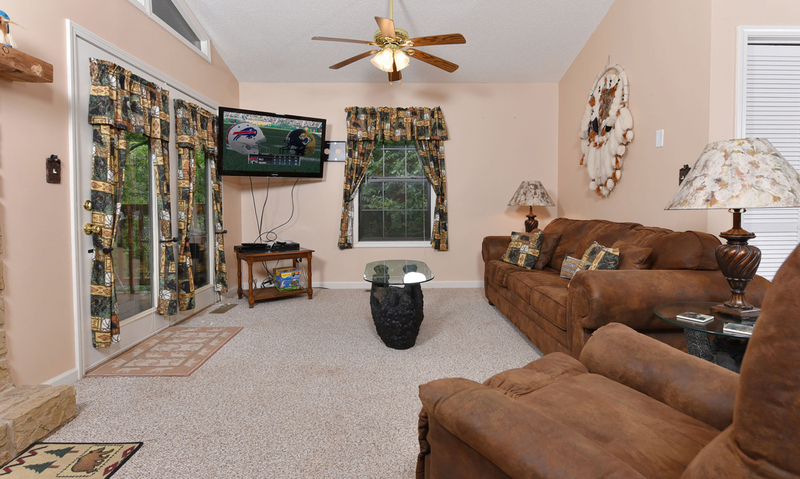 With so many new smells and intriguing sights, your doggie will have a tail-wagging blast. 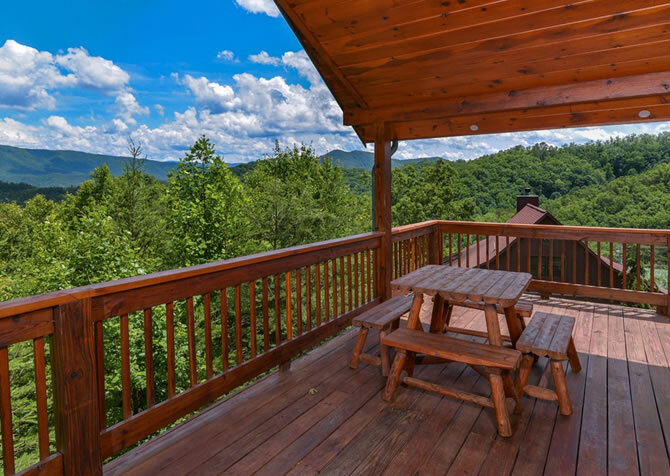 While it may be difficult to part with the tranquility at The Tree House for a bit, we highly recommend heading into downtown Gatlinburg for wine tasting, zipline adventures, museum fun, miniature golf, and more, just under 7 miles away. 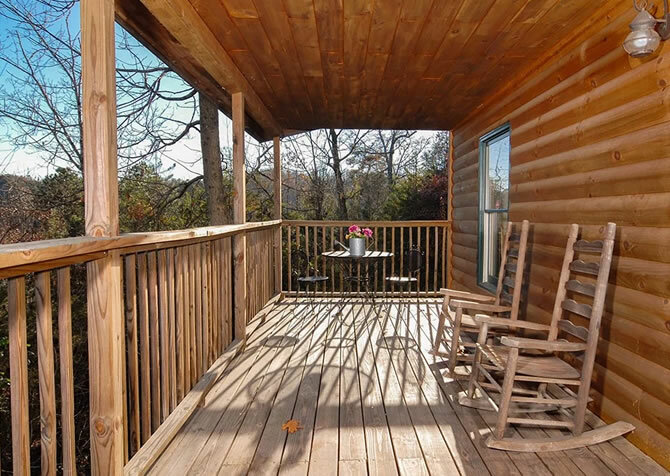 Grab yourself a jar of specialty moonshine and take a tour of the most-visited distillery in the United States at Ole Smokey Moonshine, aka The Holler. 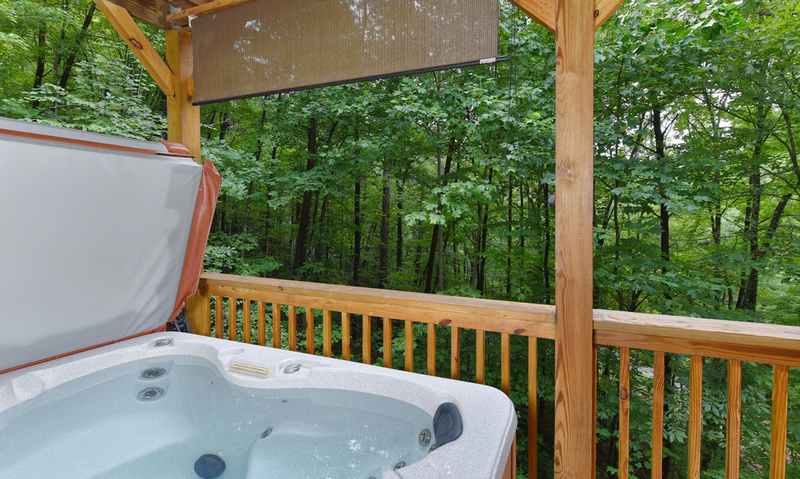 If adventure’s what you seek, look no further than the Gatlinburg Mountain Coaster, where you can soar through the Smoky Mountain trees up to 30+ miles per hour — day or night! 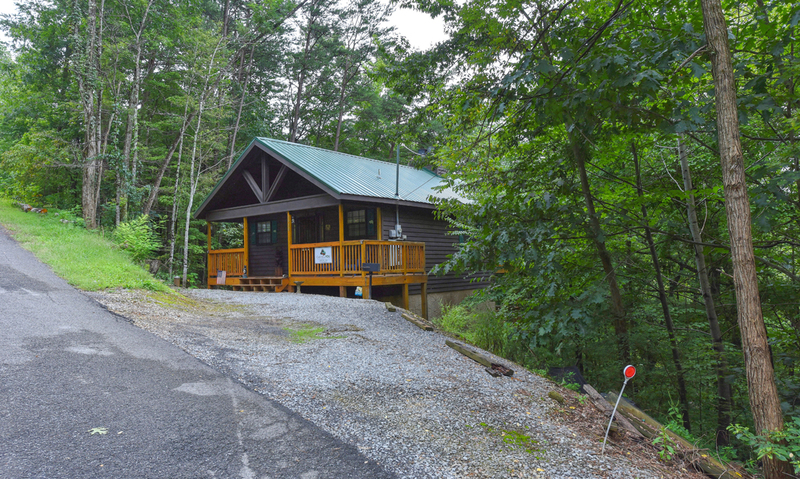 Venture under the seas and witness incredible creatures you have to see to believe at Ripley’s Aquarium of the Smokies, featuring 2 levels of underwater fun.